This is a fun and useful guide to Japan's largest city, Tokyo, but is also helpful for just traveling through Japan in general since it shares more than just spots to visit in Tokyo. 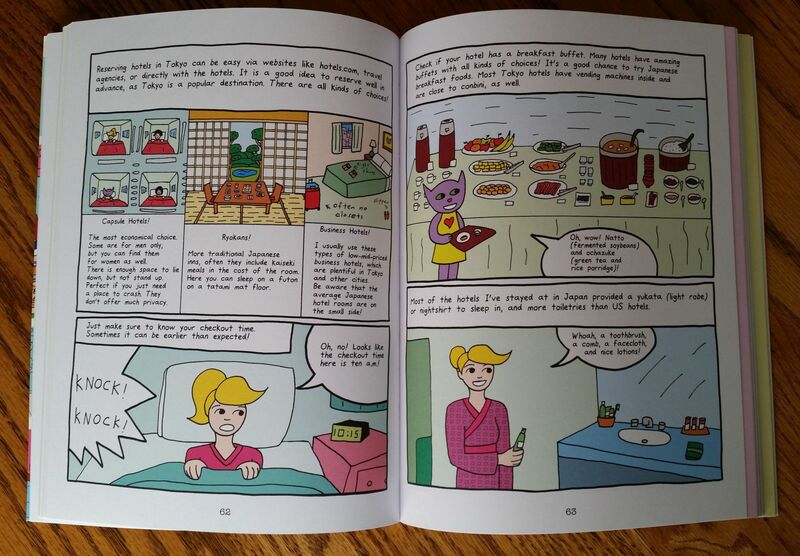 It's done in an illustrated comic book-like format making it not just easy to use but easy to recall specific sections. At least it does for me as I find it much easier to remember things when I have visuals as opposed to just reading text and having to recall that text later on. It makes me wonder why we don't structure textbooks like this. 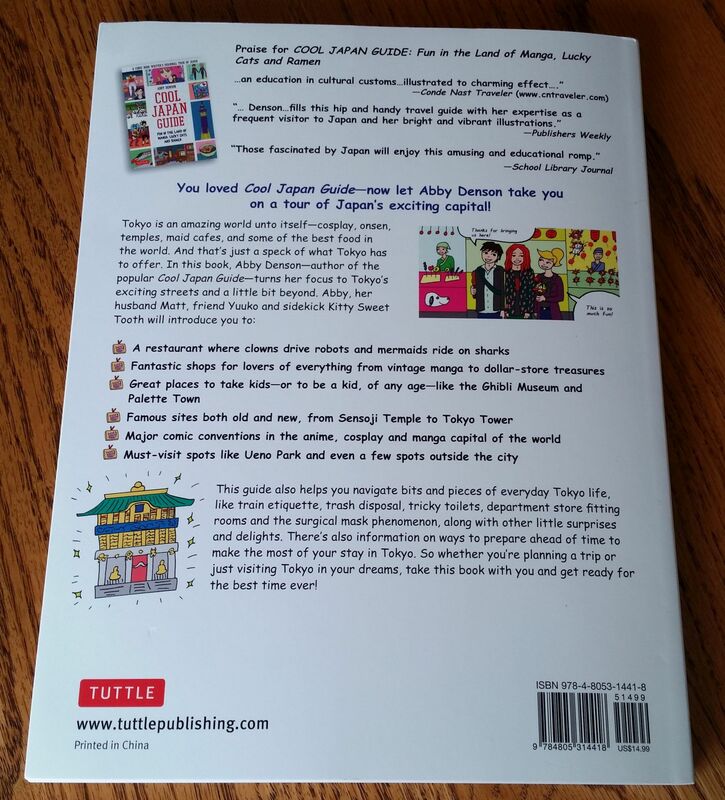 Each chapter begins with a list of Japanese words or phrases that will be used within the chapter along with their English meanings. It's not necessary to memorize them here because when they show up in the chapter it's always along with their English meaning and it's in context partnered with artwork. This guide takes you around Tokyo showing you not just where to eat, shop, and take in entertainment but also tells you about the culture, pointing out our differences and similarities, and telling you what you should and should not do. This is why I say it's a good guide for Japan even if you're not specifically going to Tokyo. 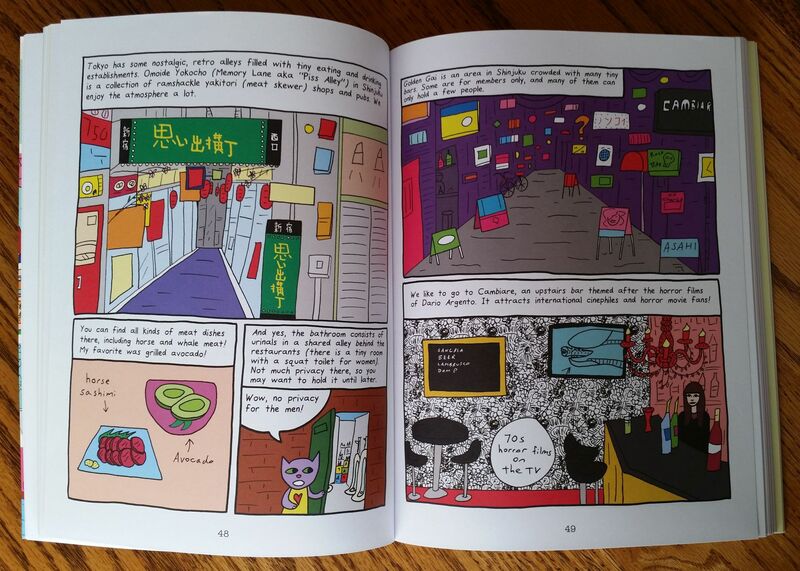 For instance, there's a section about Japanese toilets so you won't be confused when you encounter them, and a section about how to get around on the trains/subways. It tells you how to use the public bathhouses and what to do at the shrines and temples. And all of this is both written and illustrated so it's very easy to follow and recall. We're going to Tokyo! Now what? I would have loved to have had a book like this back when I visited Tokyo, but I have it now and I do hope to return someday. 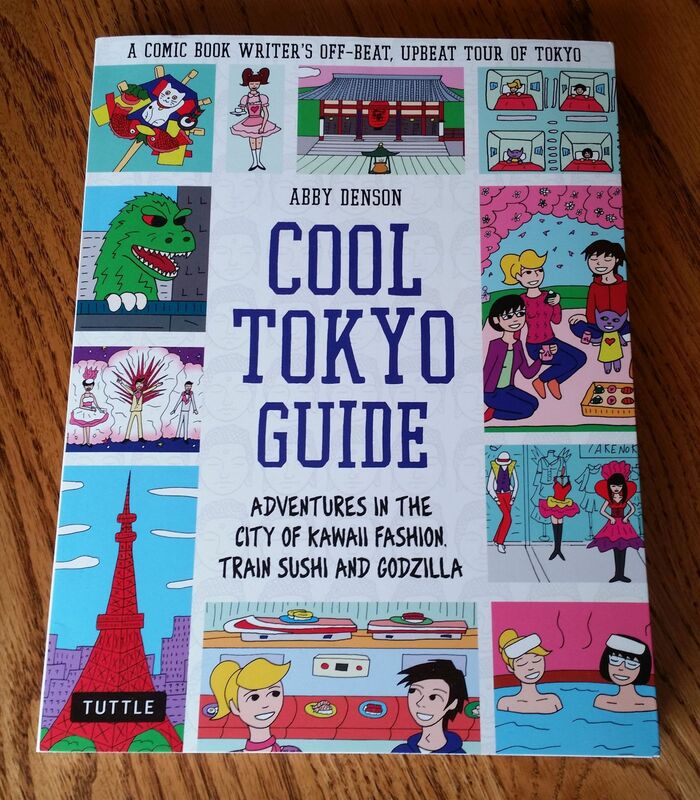 Cool Tokyo Guide is published by Tuttle Publishing and will be released on March 6, 2018.